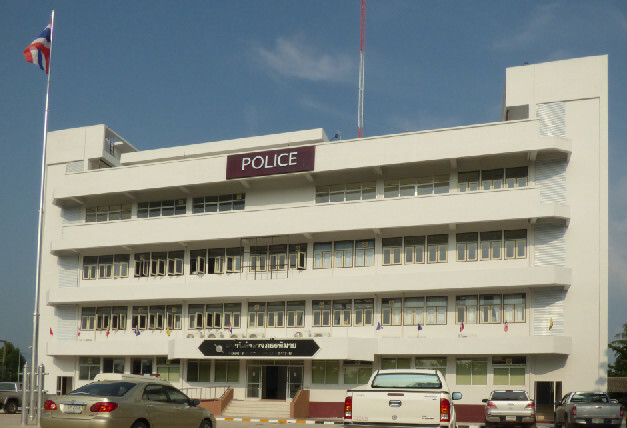 The new police station building in Phimai town is now open. 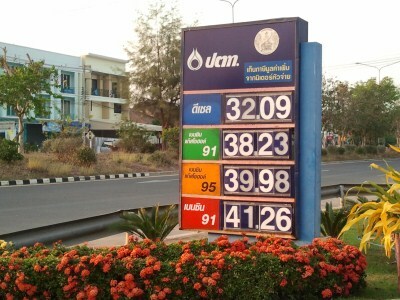 Some information on the utility companies serving Phimai town. 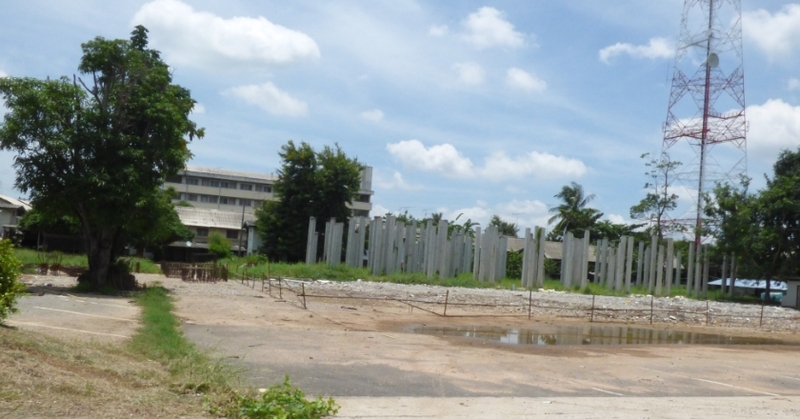 The Provincial Waterworks Authority (PWA) supplies water to Phimai town. 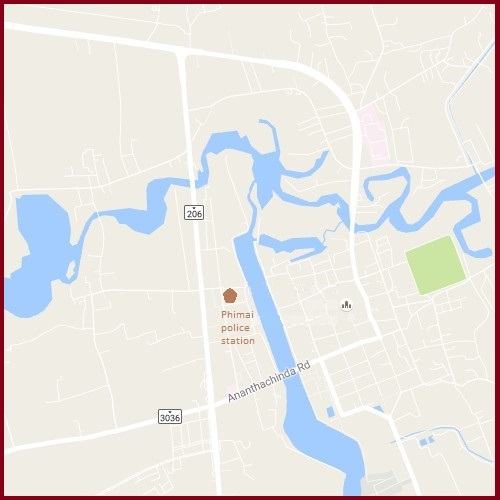 The PWA has an office in Phimai town on the opposite side of the road to the Phimai museum. 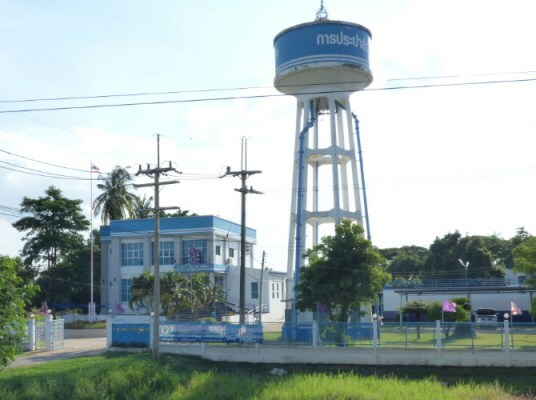 Look for the tall blue and white water tower. The office is open between 08.30 and 16.30 on weekdays. It is closed on weekends and public holidays. You can pay your water bills at this office. 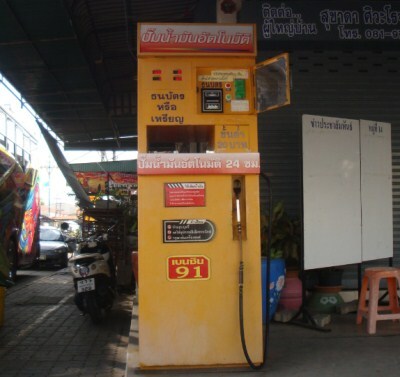 Bills can also be paid at 7-11 convenience stores so long as they are paid before the date specified on the bill. This is usually a week from the day the bill was issued. 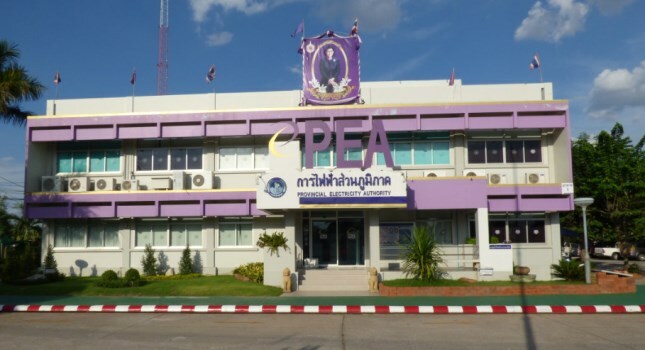 The electricity supply company for Phimai town is the Provincial Electricity Authority (PEA). 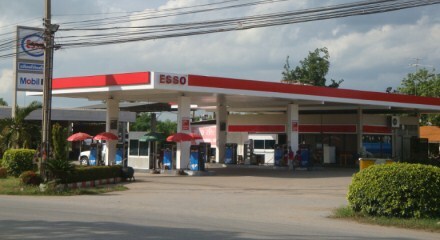 Its office in Phimai is located on the bypass, opposite the TJ petrol station and 100 metres from the Phimai Inn. You can pay your electricity bills at this office. Bills can also be paid at 7-11 convenience stores so long as they are paid within the dates specified on the bill. This is usually a 10 day period, including the day the bill was issued. 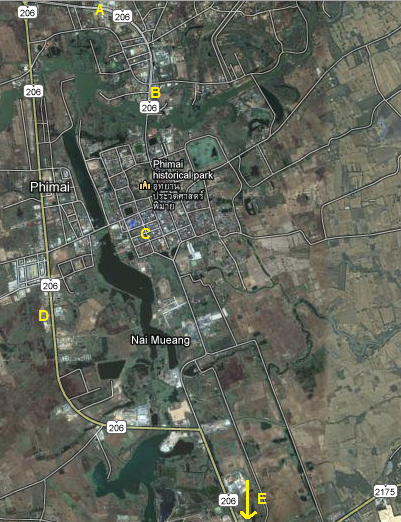 Above is a map showing the locations of the utility company offices in Phimai town. song taew: These are pick up trucks that have been converted to carry passengers in the back. The pick up trucks have a covered roof and in the back of the pick up truck there are two rows of seats to sit on. The Thai words song taew (สองแถว) mean ‘two rows’. 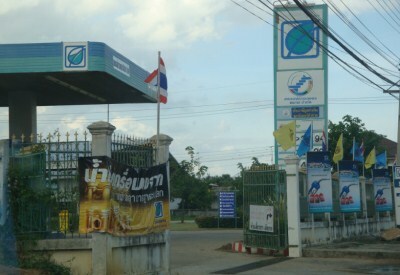 Buses run frequently between Korat city, Phimai town and Chumpuang town. 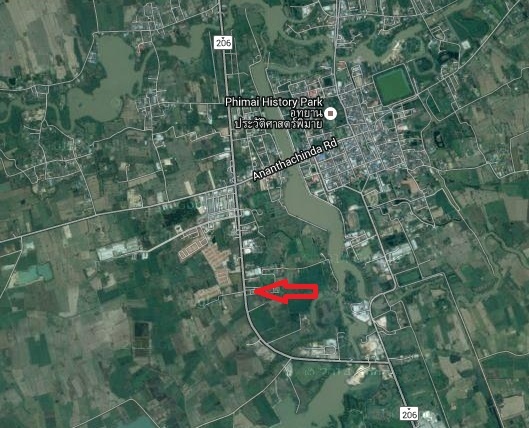 Buses from Korat to Chumpuang via Phimai run every 15 minutes. Buses in the other direction run every 30 minutes at approximately on the hour and on the half hour. 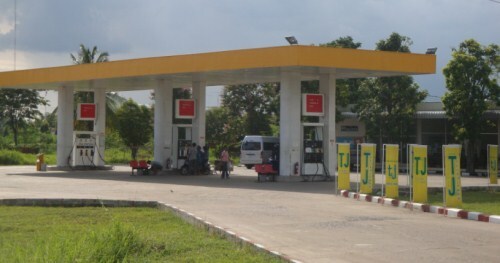 There is a minibus service that runs between Korat (Nakhonratchasima), Phimai town and Chumpuang town. The minibus is modern and air conditioned.